Foxglove and Field pattern weights are individually handmade by me in the rolling Lincolnshire Wolds. I have made things and sewn for as long as I can remember and had my first sewing machine at the age of eight. It was a singer hand-crank and it remains one of my most prized possessions to this day. 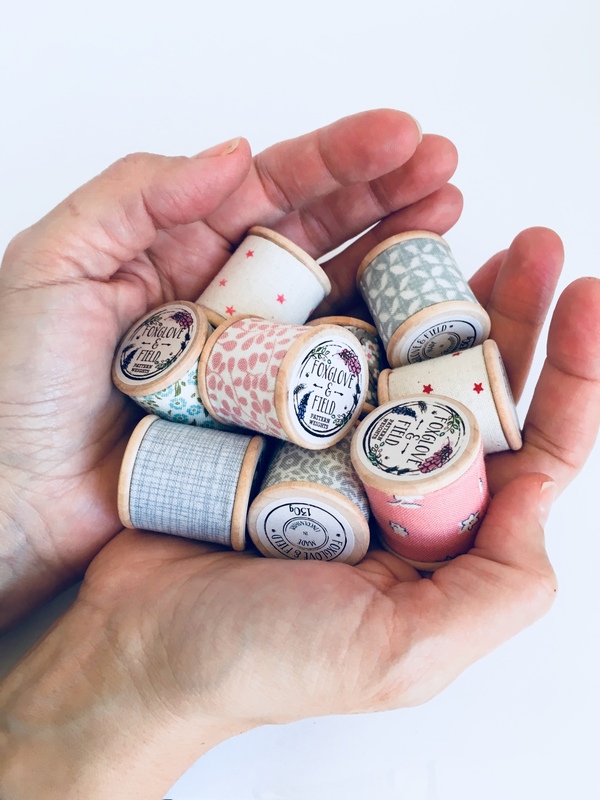 As a collector of vintage sewing bits and bobs, I have always had a particular love for collecting Sylko Cotton Reels. There is something about the beautiful bright colours, the wooden reels and the quirky names. I wanted to create something beautiful, something that shines out in your sewing space but is also incredibly useful. I became increasingly aware that there was nothing on the market that was fit for purpose and beautiful and so Foxglove & Field Pattern weights were born. At 130g each they are a mighty bobbin and perfect for holding your pattern and fabric in place. You can use them while cutting or tracing, whatever method you prefer. They also look pretty amazing on your sewing shelf!